YUP! She loves swimming for sure. Dave and I were pumping the pool (yup! It’s bigger than the old one, so we can jump in, too ^_^), Abigail was so excited and jumping up and down to get into the pool. Thought the day was so crazy humid and warm, but the water wad still cold. She didn’t care. She jumped in with her flipflop (yah she can jump into the pool by herself. SCARY!) and still had her regular shirt on. 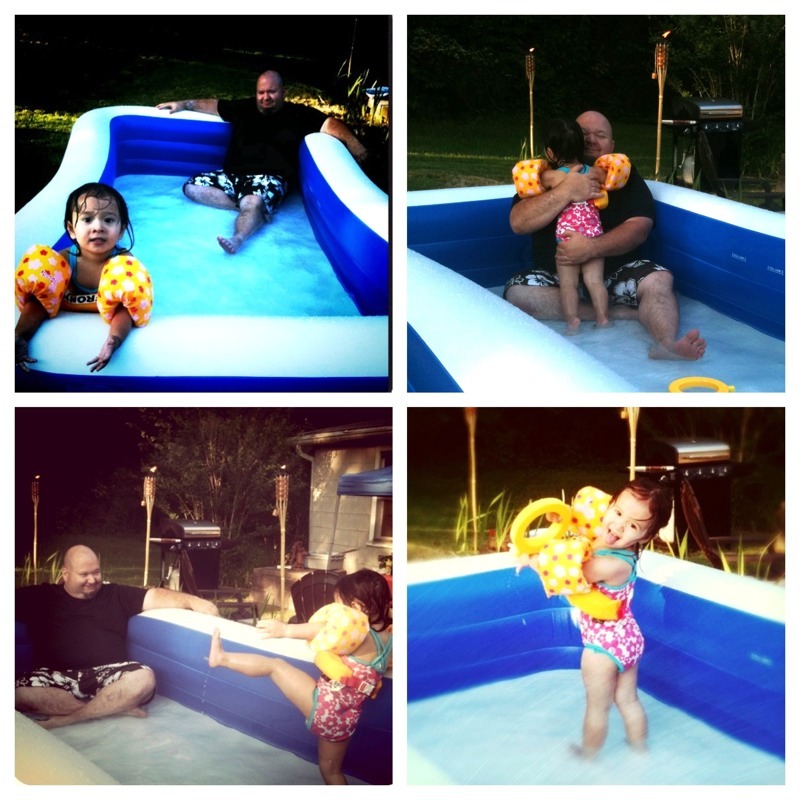 I had to get her out off the pool, took her inside and tried to distract her from the “wanna swim” excitement. Didn’t work. She was way too crazy about it! Finally, I could keep her calm down so she could have her supper. Then I could change her clothes with her swimming suit. After all of that…then you can guess what came next after she flew out of the door. Pool. And after eating his supper, Dave jumped into the pool with her. They are always buddies in the pool. Seeing the big smile on her face was really made us so happy, too. We really thank God for our little sweet pea.